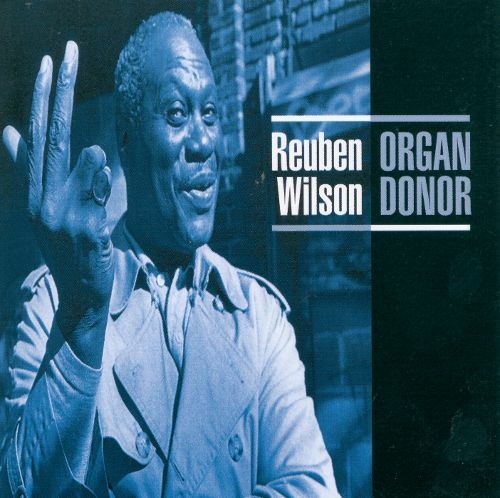 While many of the great soul-jazz organists of the ‘60s-70s have passed away, Reuben Wilson, who celebrated his 82nd birthday in April, is still going strong with a busy schedule of live appearances and forthcoming CDs. The veteran (whose last album, Revisited, was released by American Showplace in 2011) has been working on a new disc with Jerry Weldon (tenor saxophone), Johnny DeFrancesco (guitar) and Carmen Intorre, Jr. (drums), the same quartet that will appear at Smoke this month. A live album featuring Weldon, guitarist Paul Bollenback and drummer Don Williams is also soon to be released. Wilson has lived in New York City for more than half a century but was born in Mounds, Oklahoma on Apr. 9th, 1935, moved to the Los Angeles area as a child and grew up in Pasadena. It was in Southern California that Wilson became a professional boxer during the ‘50s and was managed by the iconic actor Kirk Douglas. “I did box professionally,” Wilson remembers. “I was a heavyweight. I could handle myself pretty well. I was never knocked down. I had a few knockouts...I was actually a sparring partner with [former World Heavy Weight Champion] Floyd Patterson.” Wilson shifted his focus to music in the early ‘60s, with Jimmy Smith as a major influence. In 1966, Wilson took the plunge and moved to New York City, where he formed the soul-jazz trio Wildare Express with drummer Tommy Derrick. Moving east worked out well for Wilson, who signed with Blue Note Records in 1968 and recorded his first album as a leader, On Broadway, that year. Wilson’s five grooveoriented Blue Note recordings of the late ‘60s-early ‘70s were the essence of soul-jazz, combining hardbop and R&B elements and finding the jazz potential in the popular Stevie Wonder, Marvin Gaye and Sam & Dave songs of the era. Wilson has played with his share of jazz greats, like tenor saxophonist Willis “Gator” Jackson, guitarist Melvin Sparks and drummer Roy Haynes. Wilson has fond memories of playing with trumpeter Lee Morgan, who was featured on his 1969 Blue Note session Love Bug along with tenor saxophonist George Coleman, guitarist Grant Green and drummer Leo Morris [Idris Muhammad]. Wilson’s connection to the Green family continued many years later when he was featured as a sideman and co-leader on some albums that Grant Green, Jr.— also a guitarist—recorded in the ‘90s-00s and the younger Green appeared on Wilson’s 2002 release Organ Blues (Jazzateria). Reuben’s ‘60s-70s recordings have been sampled by hip-hop artists like Nas, A Tribe Called Quest and US3. Wilson himself acknowledged hip-hop when he recorded Boogaloo to the Beastie Boys, a 2004 jazz-funk tribute to the influential rappers. 51 years after moving to New York City, Wilson still stresses, without hesitation, that he is glad he moved east. And he looks forward to continuing to perform and record. “I’m still here,” Wilson asserts. Wilson is at Smoke Jun. 29th. See Calendar.